I had an Emotion Code session with Permelia Parham and what she told me BLEW my mind… and gave me insights into myself that I never understood before… book a session with her… it’s enlightening. I had an Emotion Code session with Permelia last week and it was incredible. I feel amazing and highly recommend this for everyone. Permelia has been working with me for several weeks now. We have been addressing several of my issues – both physical and emotional. I have noticed definite improvement in all of the areas that we have addressed. For example, I was having recurrent lower back pain. In the past, this would have lasted about 6 weeks. With Permelia’s help, the pain was largely gone after the first day, and totally gone in a week. I was refilling my med packs today and realized I forgot to take my pain med today. Normally, the pain would have reminded me. Maybe I won’t need it any more! I don’t know how it works. All I know is that it does work. I would mostly heartily recommend Permelia to anyone. My emotion code session was incredible. I didn’t know what to expect and when I left, I noticed a big shift later that day. I felt like a creative fountain opened up in me and I was glued to pen and paper to capture my ideas. I have no doubt that I released what I needed to at that session with Permelia. I believe the more open you can be, the more you will receive . . . don’t believe me, try it yourself. Thank You Permelia for my Emotion Code session. I wasn’t sure what to expect. I came in with a question. Not only did you answer it, you validated what I have been feeling all my life. Having this validation has set me free from the carrying issues that no longer serve me. I honestly felt lighter at the end of the session. My experience in working with Permelia to stop my teeth grinding at night was extremely positive. I noticed changes from the emotion code work immediately. I have worn a night guard for many years and after 2 sessions I no longer need one! Permelia is so kind and caring in her manor. She was amazing with her follow up care, ensuring that there was an excellent outcome. I would highly recommend Permelia. After the session, Changing a Limiting Belief I immediately felt more confident and grounded, but the really exciting news is that later that evening, a random business offer presented itself and doubled my sales commission! Participating in Permelia’s class has really helped be grounded and I feel a lot at peace. I recently had the pleasure of experiencing a past life healing from Permelia. I found her to be very warm and personable, which created a relaxing environment where I felt safe and understood. Permelia worked with me to come up with some very effective after care activities. The treatment and after care left me with a significant reduction in anxiety and guilt. A month later and I am still enjoying the results of my session. Permelia’s individual consultation assisted me in “unblocking” negative energy through harmful thoughts, words, feelings, or actions. She also helped me to explore limiting beliefs that no longer serve me today. Our session involved the energy integration of new beliefs and the release of the old belief energy. I would highly recommend Permelia’s vibrational healing to everyone. Meeting with Permelia was helpful to me at the time, giving me a direction on which way to approach what had been bothering me and was requiring attention. That said, I was able to receive other insight around a past life issue that had remained trapped in my soul, and carried forward into this lifetime to be moved on. While it was a lot to comprehend at the time, it came to light and has since been released from me entirely. So much so, I am unable to say much about it. For that I am truly grateful that Permelia was able to provide insight, which gave me a direction, and then me to make the connection with past life energy, address it, and then acquire the tools to move it along. With some personal belief systems needing adjustment, I booked a private session with Permelia to learn how her vibrational work could help. She took me through a process to identify where I was stuck, and then how to send messages to the universe, to eliminate negative messages, and embrace specific positive beliefs. Her knowledge was impressive, and her patience appreciated, as I delved into this new medium of growth. I was fortunate to receive a complimentary Past Lifetimes session with Permelia which I discovered was incredibly intriguing. That, along with Permelia’s vibrant personality, knowledge and competence made it that much more enjoyable! I’m looking forward to learning more about my “past” in the “future”. I recently had a session with Permelia @ Vibrational Healing. I must say I was skeptical at first. I did come away lighter and with a sense that something in my perception about this area we had worked on had shifted. I have been pleasantly surprised. After spending more time with Permelia, in conversation and introducing my husband to Permelia, we are registering for one of her upcoming workshops. Permelia is very committed to helping people in the areas of their life that they feel drawn to work with. Her passion for her healing is contagious. Thank you Permelia, we look forward to your workshop. My session with Permelia was both inspiring and grounding. Originally when reading the information in the floer book it made no sense and seemed very wrong. And in fact it was. I was on the wrong page. The correct passage was a perfect reflection of what I needed to know and it made perfect sense. I recommend a consultation. I am sure there will be insights. Working with Permelia is comfortable and convenient. A great way to explore inside ourselves. I loved the individual consultation I had with Vibrational Healing. I took a two day course with Permelia on Vibrational Healing. Although I have been involved with the discovery of vibrations and their effect on our consciousness for many years, I learned many new things from Permelia and also from fellow class members. It was a real treat to meet such a thoughtful and well informed person who opened up new experiences and awareness for me. I would recommend anyone, at any point in their spiritual journey to take a course from Permelia. The Vibrational Healing 2-day Intro workshop with Permelia was wonderful! I love this modality – so subtle yet right to the heart of the matter! Learning this process with Permelia’s gentle and supportive guidance was both fun and empowering. This intuitive technique helps you connect with your own inner healing. I experienced significant shifts, deeper alignment and a greater sense of wholeness. I came away from the workshop with some great new tools for maintaining spiritual and emotional wellbeing. I learned new ways to balance my energy field – which I continue to use whenever I feel the need. I LOVE working with the flower essences! So beautiful! I highly recommend this workshop. Thanks so much, Permelia! I really enjoyed learning about Bach Flower Remedies and how they each have a vibration quality that resonates with the emotional, physical, mental and spiritual. Balance is so essential in order for all areas to work together. If one is out of balance we don’t function fully. Permelia is a beautiful lady in all accounts and is an excellent facilitator. I would definitely recommend you take one of her courses. I took the Vibrational Healing workshop from Permelia and was very surprised to find all the applications it pertains to. Permelia is a wonderful instructor and is a joy to work with. I look forward to many more. Blessings. After taking these classes I feel more aware of myself and my choices. I now find it easier to keep my energy in balance and deal with the stresses in my life. I took this workshop because I wanted to create more spirituality in my life. Partaking in Permelia’s Vibrational Healing workshop was truly transformational for me. To realize that we can have that connection with our body’s energy in such a way, and learn and be guided by it, felt so harmonious and exciting at the same time! I attended the Vibrational Healing workshops with Permelia Parham and I have been enriched through the experience. I am now in tune with the workings of my body and the techniques I learned are put into practice on a daily basis. I am grateful to Permelia for her guidance and gentle ways. I recommend this workshop in order to learn how to power your auras. This workshop changed my perspective about how to heal my auras. Permelia’s gentle, caring touch and the Flower Essence Repository book assisted in growing my mind and spirit. I found this program to be very insightful as to which areas of my life needed healing. The flower essences were a unique method to facilitate this healing. Permelia is an excellent guide through this journey, adding lightness to heavy issues. I so enjoyed Permelia’s course on Vibrational Healing. It was a gentle, feminine approach to healing energy. The added benefit was a deepening of intuition as you explored aspects of individual journeys and growth. 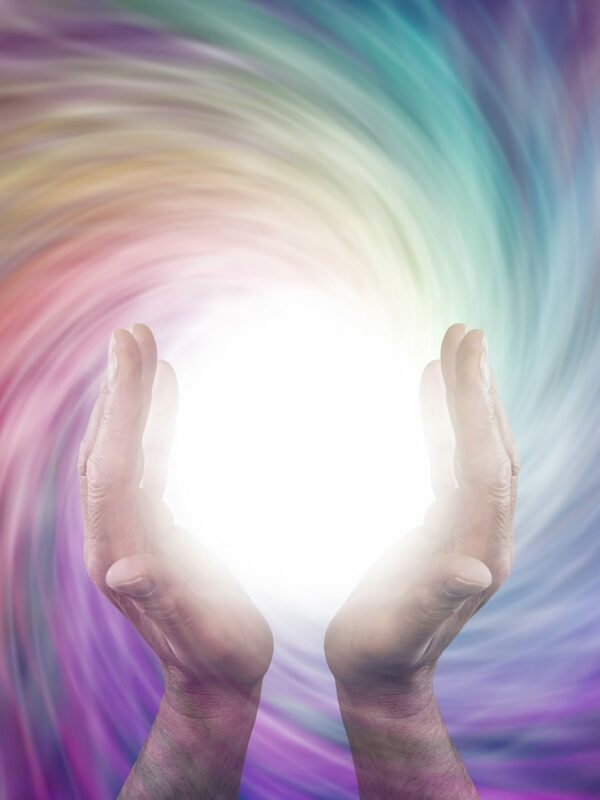 Celebrate yourself and give yourself the gift of a Vibrational Healing workshop with Permelia. I recently took the Vibrational Healing workshop and I thoroughly enjoyed the experience. I refer to the lessons and materials from the workshop a couple times a week and discover more things to heal and grow. Forever grateful for the workshop and to be learning what I need to heal and how to do it. Thank you so much Permelia! Permelia Parham is a good teacher. I enjoyed her Vibrational Healing class, especially the session on past lives. I learned a lot from her. “Vibrational Healing” is a course I would highly recommend to everyone. It opened my eyes to the possibilities of healing myself. I am most grateful to Permelia Parham. Her help and guidance made things much easier and more joyful. Good luck on your journey, Namaste.